Some leading research and medical institutions in the US like the US-Harvard University‚ Scripps Clinic‚ University of California San Diego‚ University of California San Francisco‚ Mt Sinai University and Duke University are working on a project to study Ayurveda’s healing powers. The study—Self-directed Biological Transformation Initiative (SBTI) Research Study—will be conducted at wellness expert Deepak Chopra’s wellbeing center in California. The study will analyze the effects of Ayurvedic treatments on some participants’ genes‚ hormones associated with mood change and metabolism‚ bacteria present on the skin and in the gut‚ inflammation‚ weight‚ stress‚ among other things. “Our body’s healing system is not properly understood in the West. 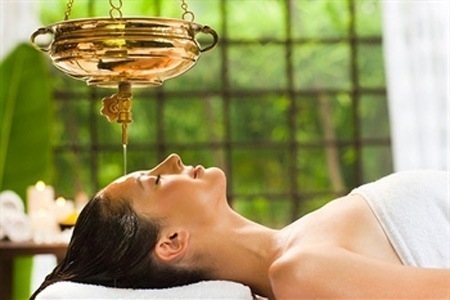 In Ayurveda‚ therapies and practices are not done in isolation. Ayurveda does not focus on local symptoms‚ it goes into the root cause‚ hence the diagnosis is systemic. Now Western medicine has started realizing that a stress or inflammation is connected to manydisorders‚ and can lead to heart disease‚ cancer‚ or diabetes‚” explains Deepak Chopra. Although Ayurveda is widely practised in India‚ there are only a few scientific studies on the benefits of Ayurveda. Even the system has not been researched in the West properly. In the West‚ Ayurveda is considered as a pseudoscience. However‚ this perception is now changing in the West. “It makes sense to look back to ancient remedies and wisdom‚for example‚ Ayurvedic medicine. So far‚ the results ranging from the effects of meditation on beneficial gene activity to ashwagandha on Alzheimer’s pathology are certainly looking sufficiently promising to continue‚” says Dr Rudolf Tanzi‚ professor at the Harvard University and a co-researcher of the SBTI study. The researchers will also study the effects of Ayurvedic diet on our lifestyle.”This study will help us understand better how Ayurveda works on our body and systems‚ and how best we can integrate it into our modern lifestyle‚” says Dr Murali Doraiswamy‚ professor‚ Duke Institute for Brain Sciences and a co-researcher of the study. None of the facts and figures mentioned in the story have been created by ThinkNaturalToday.com. ThinkNaturalToday.com is not responsible for any factual errors.